100% Satisfaction Warranty: 2-year warranty and lifetime support provided. Offer free replacement or money back guarantee if you aren’t satisfied with your received clock camera. BUY NOW, GIVE IT A TRY! 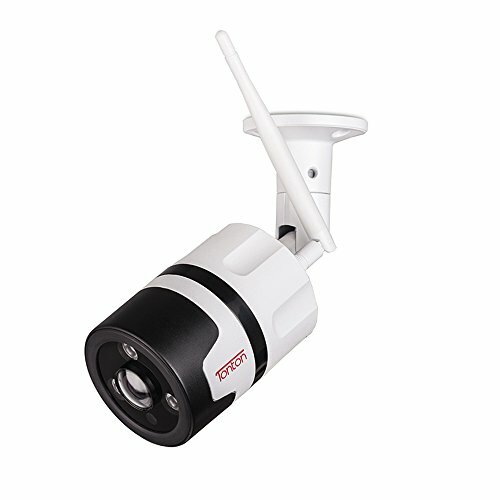 If you face any problem when using WIFI camera, please contact me, we will send more comprehensive manual and video to you. 1. Due to long term transportation, the device battery may be low, therefore please charge it for 2-4 hours before use (charge when the device is on). 2. This camera supports 2.4G wifi only, and does not support 5G wifi. Please detect with caution when connect it with wifi. 3. Before use, please insert micro SD card, and format the SD card for first use. Maximum SD card support is 128GB. 1. The material of small camera adopts good zinc alloy, with better heating diffusion and endurance to ensure the long life. 2. 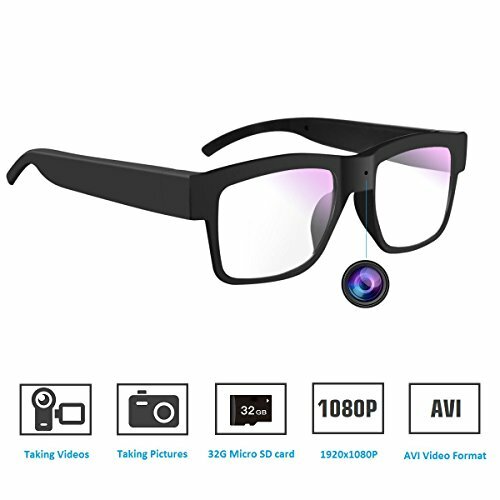 You can take videos or take photos for important event anytime, night vision can see and record in darkness, which are saved to your phone album. 3. NO risk of personal Information. 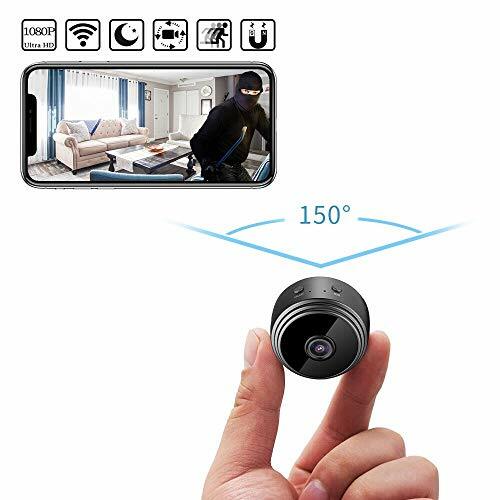 You have the direct connection with the wifi camera, the ip camera’s video won’t be saved on any servers or forwarded by manufacturer. 4. 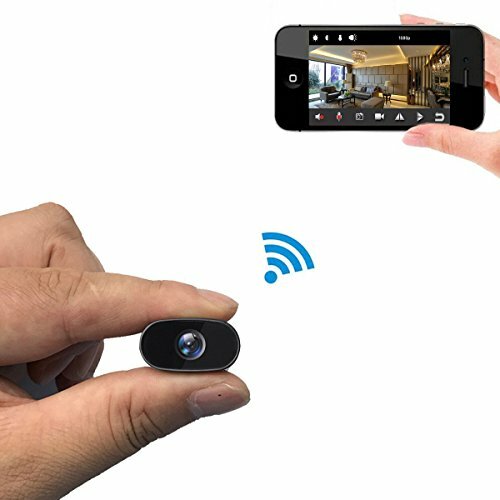 This camera supports PC computer, smartphone (IOS& Android) and tablet app Real-time remote view and control. You can playback and download the video. Multiple resolutions can be selected to meet your different needs. 5. Time clock can switch between 24/12 hours at any time. Up to 5 hours large-capacity battery. The user can connect the device to the power supply if user not home for an extended period, to ensure camera’s Long time operation. 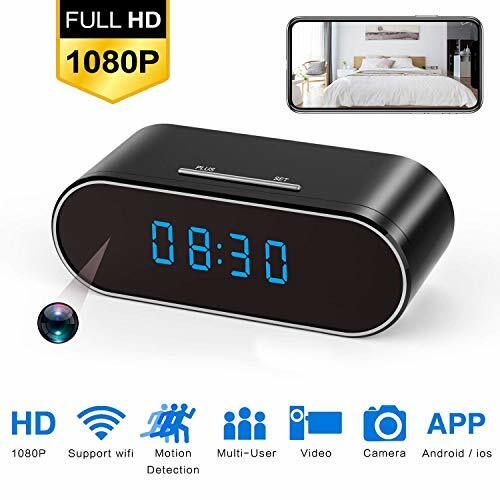 HD: This is a 1080p high-resolution wireless hidden spy camera clock recording without any attentions, nobody will figure out that it is a camera. Up to 5 hours large-capacity battery. Support charging while recording. 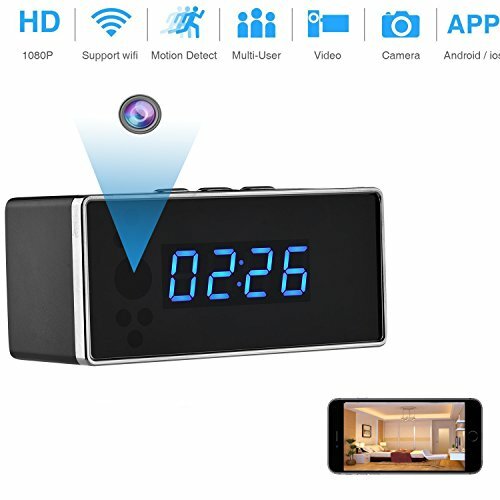 Remotely View&Night Vision: Hidden camera alarm clock can remotely view the live stream anytime and anywhere. It’s suit for home security, office monitor. And it offer night vision, it can see and record in darkness. And these special ir lights are totally invisible to the human eye. 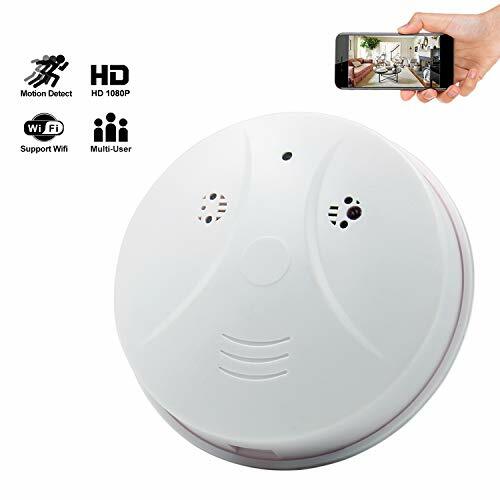 Motion Detection: Once the motion detection activated, the alarm notification will push to user’s phone, capture photos and save in user’s app automatically, without miss any exciting moment. Loop Recording: Insert the micro SD card into its slot, power it on, the camera will start to record automatically. When the memory space is full, the camera will overwrite the files from oldest to newest. 24-hour recording. Maximum SD card support is 128GB. 2-YEAR WARRANTY: You’re protected by a 2-year, no-questions-asked replacement or refund guarantee and world-class personal customer service, so order TODAY!